On December 29, 2013, Der Spiegel, a German weekly news magazine, published an article about an internal NSA catalog that lists technology available to the NSA’s Tailored Access Operations (TAO). 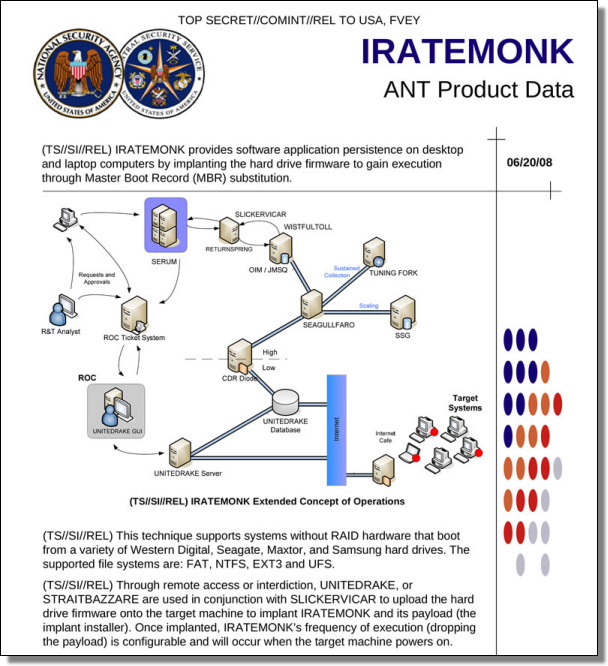 Among that technology is “IRATEMONK”. 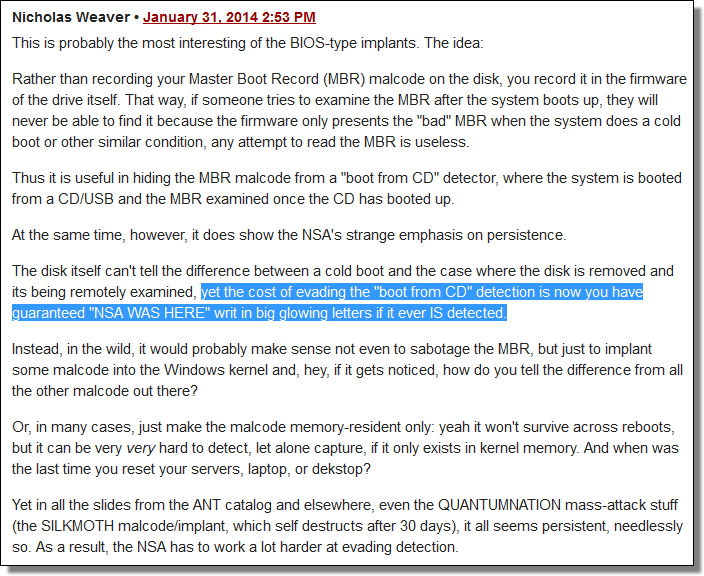 On January 31, 2014, Bruce Schneier deemed IRATEMONK his “NSA Exploit of the Day” which prompted this from Nicholas Weaver. Well, funny story — components related to IRATEMONK have now been detected — by the folks at Kaspersky Labs. Kaspersky’s research paper refers to a threat actor called the “Equation group” whose country of origin is not named, but the group has exactly the capabilities detailed by the NSA’s ANT catalog. Ars Technica has an excellent summary here: How “omnipotent” hackers tied to NSA hid for 14 years—and were found at last.